The MAM® 2046 Sportive is a unique folding utility knife with a rich history and a good balance of performance and value. With a corrosion-resistant stainless steel blade, ergonomic handle, and secure liner lock, this knife is a ready companion for backpacking and camping adventures. The thin blade is perfectly suited for slicing fruit and cutting salami or cheese but also excels at many camp chores like cutting cordage, opening food packages, or feathering sticks. And it’s 19% lighter than the similar-sized Opinel No. 7 at just 1.08 oz (30.6 g). MAM Filmam is a Portuguese company, family owned and operated since 1870. They’ve excelled at manufacturing essential tools with an outstanding price/performance ratio. Similar in quality and economy to the better-known Opinel, MAM knives have developed their own unique character. The Inox stainless steel used for the blade is made by ThyssenKrupp in Germany and is specially tempered to achieve a hardness greater than 56 HRC. It has a daring clip-point design with a flat grind and a plain edge. 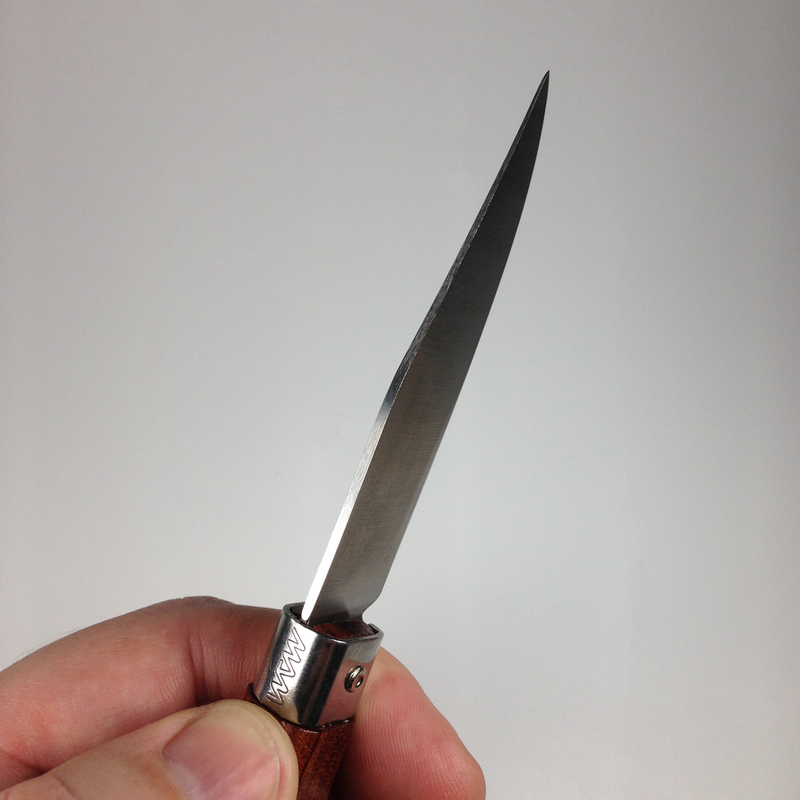 The blade is thin yet strong which is great for slicing. The ergonomic handle fits perfectly in your hand for maximum comfort and control. Crafted from fine French beechwood, the handle is very light yet strong. And the sides are flat so it rides better in your pocket. MAM knives feature a unique liner lock for open and closed security with a click. 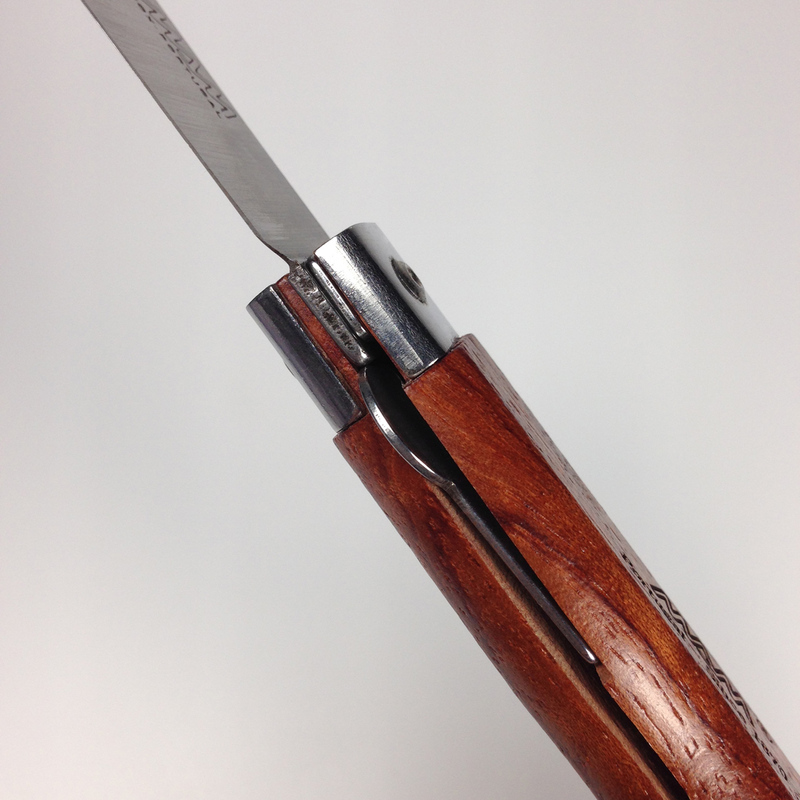 The liner lock works opposite most others, but we find it simple to adapt and easier to use than an Opinel lock. Release is accomplished with the same hand holding the knife. For righties, simply use your index finger to press and release the lock. For lefties, just press with your thumb. You can open/close with one hand with the aid of your leg.